Alzheimer's Disease is an ever present problem affecting millions of people around the world and, as people's average lifespan lengthens, its prevalence is set to increase. A global effort is needed to combat the disease, including research to investigate the causes, development of effective treatments and, ultimately, prevention of the disease. Published every two years, these timely books discuss the very latest research. 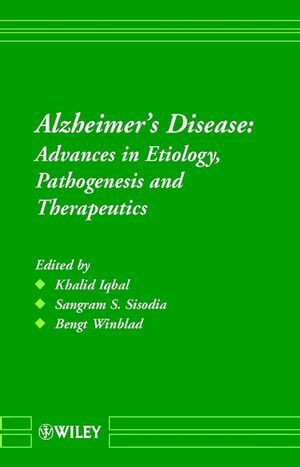 This new volume provides a unique source of reference to the important work being done in this field, it gives academics and clinicians an opportunity to learn about cutting edge developments and covers all aspects of Alzheimer's Disease, including diagnosis, clinical course, epidemiological course and therapeutics and disease mechanisms. Alzheimer's Disease: Advances in Etiology, Pathogenesis and Therapeutics will provide essential information for basic and clinical researchers in Alzheimer's Disease and other dementias as well as for those who care for patients.